Located in a perfect seafront position,on the peaceful stretch of golden beach between Piazza Nember and the Jesolo Lidolighthouse, at Hotel Victoria you can fully relax, while still having access to all the entertainment opportunities that this resort offers its guests. The hotel looks directly onto the Promenade of the Stars and a short walk leads you to Europe’s longest pedestrian street, a lively street studded with bars and restaurants, stores, boutiques, concerts, shows and a thousand other opportunities, where you can discover the surrounding area and take wonderful trips, perhaps by using one of our free bicycles. Thanks to the hotel’s handy location, you can quickly reach the main places of interest in Jesolo, like the Aqualandia water park with the highest slides in Europe, the Jesolo Golf Club, tennis courts, the tourist port and the sailing club, the riding centre, the animals at Tropicarium, the Sea Life aquarium, the Gommapiuma inflatables, the Jolly Roger galleon, the attractions of the New Jesolandia Amusement Park, the Pista Azzurra go kart track and over 150 km of Jesolo Ambient Bike cycle track amidst nature. Magnificent Venice and the splendid islands of the lagoon have never been closer, as are other cities of art in Veneto - Treviso, Padua, Vicenza, Verona, Asolo and Bassano del Grappa – where art, history and landscape combine beautifully. If you choose to take advantage of our countless opportunities for entertainment away from the beach, you find endless activities near our Hotel to help you spend an unforgettable holiday in Jesolo. Here are some of the many opportunities available to those who book a holiday. Not far from our hotel, with up to 448 moorings, the port is located on the left bank of the River Sile, in the fresh, calm waters of the mouth of the river. 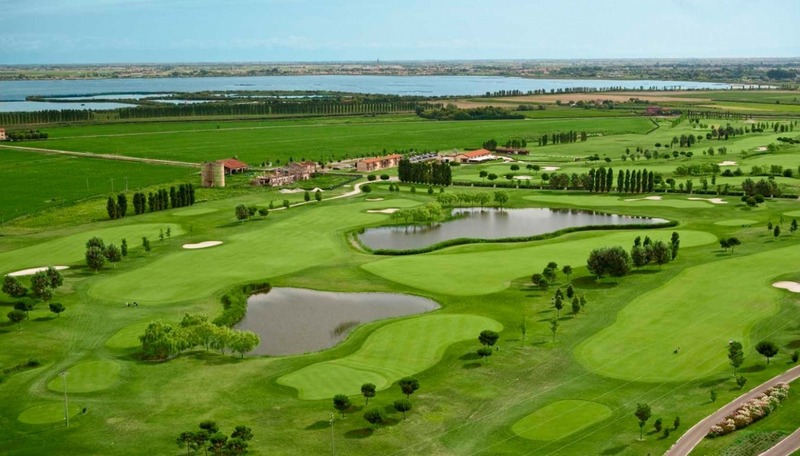 Jesolo’s famous Golf Club, is an oasis for golfing fans. Thanks to a special arrangement with our Hotel, you can have a special discount on entry tickets. You can finally have a unique view of the sea from an unusual place! Tropicarium is a themed exhibition of over 500 animals from all over the world. If you love speed then Pista Azzurra, which stretches over 80,000 m2, is perfect for you! A park with rides, games and amusements, New Jesolandia is dedicated to fun for both young and old. For those who love bike tourism, Jesolo is the ideal destination and offers highly suggestive itineraries full of nature and fun, both along the coastline and in the atmospheric inland area where there are a large number of extremely exciting routes. An excursion amidst the beauty of the lagoon on board a real galleon is an opportunity not to be missed. Subscribe to our newsletter to be always updated about our offers and promotions.